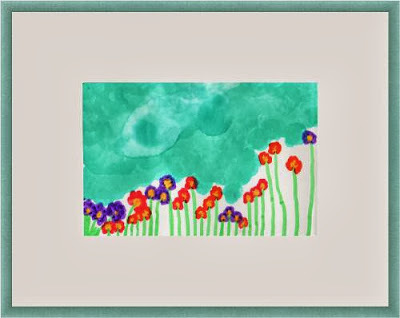 Picture Framing Blog - A Good Frame of Mind: What’s the Scoop? Right Now, it’s All About Reflections! What’s the Scoop? Right Now, it’s All About Reflections! This week, two of our favorite metal picture frame collections are on sale, Reflections (Nielsen #225) and Reflections Petite (Nielsen #65). These particular frames feature a prominent striation and brushed aluminum finish with a modern scoop from edge to interior. The petite version mimics the original Reflections design, but with a thinner face. This assortment is favored for dressing up artwork with a modernist design. Some of the colors, such as the cappuccino and the robin’s egg are a delightful surprise. They offer an interesting pop of color without being too showy. From the Reflections collection, ModernPewter, frame RF469, is our most popular and versatile frame. This frame pairs nicely with a bright white mat, and is a simply beautiful treatment for framing wedding photos. Robin’segg is a great choice for framing children’s artwork or for hanging in a nursery. The color is lively yet soothing and adds a playful touch of sophistication that will grow with your child. 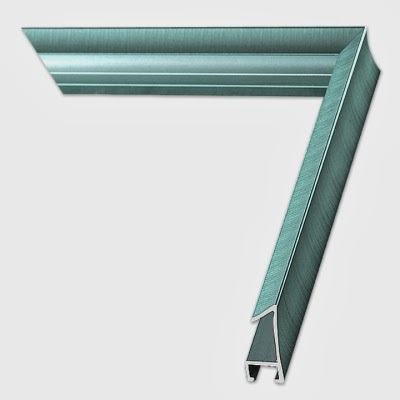 Here, the striated, brushed aluminum finish is more visible on this Reflections Petite moulding. 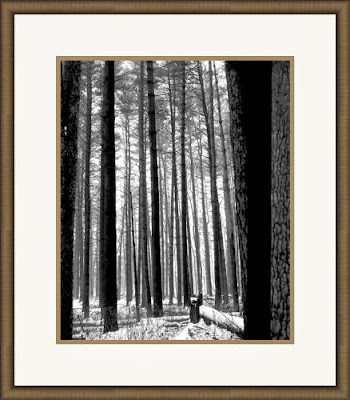 Using the Reflections Cappuccino frame with a black and white image adds a richness and strength to the overall appearance of the artwork. The rich, dark brown color with black/grey striations offers a different and unexpected choice for this black and white photography. 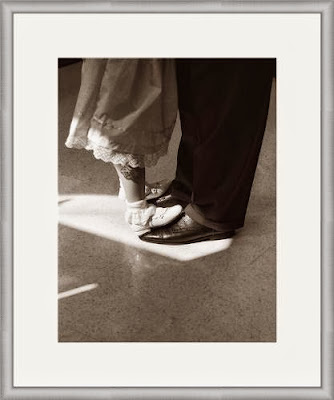 This frame also looks stylish with sepia or antique photos. 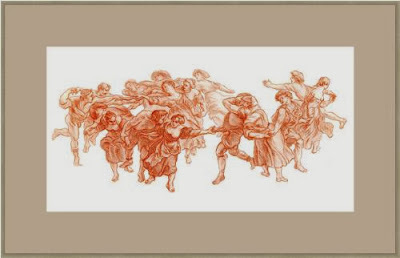 This conte drawing received a light gold frame (Barely Gold, RFP251) with a neutral mat (Taupe, 8648). The light color choices keep the palette soothing and light, just like the image being portrayed. Reflections and Reflections Petite are fantastic options for dressing up photos and drawings. Using neutral mats with wide borders keeps artwork modern and classy. What have you framed with Reflections or Reflections Petite? What is your favorite color from the collection? This is so stylish. It gives such a classy effect to the main picture. Loved the shine and finish it has. Looks so smooth. Thanks for it.